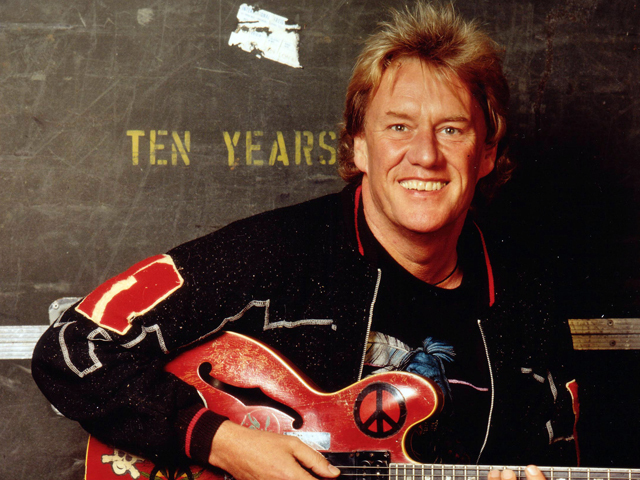 LONDON British rock guitarist Alvin Lee, founder of the band Ten Years After who burst to stardom with a memorable Woodstock performance, has died. He was 68. A statement posted on Lee's official website said he died Wednesday unexpectedly from complications following a routine surgical procedure. Lee's manager, Ron Rainey, said the guitarist died in Spain. "We have lost a wonderful, much loved father and companion," said the statement signed by his daughter Jasmin, wife Evi and former companion Suzanne. "The world has lost a truly great and gifted musician." The Nottingham, England-born Lee founded the band Ten Years After in 1967. The group first toured the U.S. in 1967, but its popularity exploded following Lee's rousing performance of the song "I'm Going Home" at Woodstock in 1969. Lee's epic and electrifying solos on his Gibson guitar for the 11-minute performance were immortalized in the documentary film about the legendary festival. Ten Years After released ten albums together featuring the group's mix of blues, swing jazz and rock and toured the U.S. 28 times in seven years. Lee left the band in 1975 to embark on a successful solo career that saw him recording with the likes of George Harrison, Steve Winwood and Mick Fleetwood and experimenting with different styles of country rock, rhythm and blues. In total, Lee released more than 20 albums over a 45-year career. His most recent, "Still On the Road to Freedom," was released in August 2012 and incorporated a range of styles from rock to blues to jazz to funk. "He was a great musician, writer, producer, performer, and a gentleman, truly one of a kind," Rainey said in an email. Former Ten Years After bandmate Leo Lyons called Lee "the closet thing" he had to a brother, recalling "so many great experiences" shared together. "He was an inspiration for a generation of guitar players," Lyons said in an email expressing shock and sadness over Lee's death.